British online used car dealership Carspring has just released a survey that shows which of the world’s major cities have the least expensive and most expensive cab rides. Researchers looked at taxi prices in 80 major cities around the world and quantified the cost of hailing a taxi (the initial price, sometimes called the “meter drop” or “flag pull”), the cost per kilometer, the cost of waiting time, and the typical fare from the airport to the city’s center. Each category was normalized, and then added together to create an overall price score for each city. “We hope our research helps travelers prepare for safe, fun, and budget-friendly travel in whatever ride best suits them,” Maximiliam Vollenbroich, Carspring CEO, said. The survey also looked at which car model is most popular with taxi drivers in each city, providing both a sense of what type of transportation a tourist might expect and providing a clue to spotting a possibly unlicensed cab. Travelers who engage such rides, often referred to as “Gypsy cabs,” take some unnecessary risks, largely because they are unregulated. As such, there is no agency to which passengers can appeal if they believe they were overcharged or otherwise treated unfairly. The city with the highest overall taxi prices was Zurich followed by another Swiss city, Geneva. Tokyo was third most-expensive, with Copenhagen and Helsinki taking fourth and fifth. London and Antwerp, Belgium, were sixth and seventh while three German cities rounded out the top 10. Munich, Hamburg and Stuttgart were Nos. 8, 9 and 10, respectively. Least expensive of the cities surveyed was Cairo followed by Mumbai; Jakarta; Bucharest, Romania; Mexico City; Tunis, Tunisa; Bangkok; Kuala Lumpur; Sofia, Bulgaria; and Hanoi. Taxis in Tunis had the lowest initial hire at just US$0.19 while Zurich’s initial rate was the equivalent of US$8.30. Cabs in Cairo had the lowest cost per kilometer, at $0.10, while Zurich was the highest, at $5.19. Geneva cabs, which were the second most expensive overall, were also second on a per-kilometer basis but, at $3.32, considerably less than Zurich. 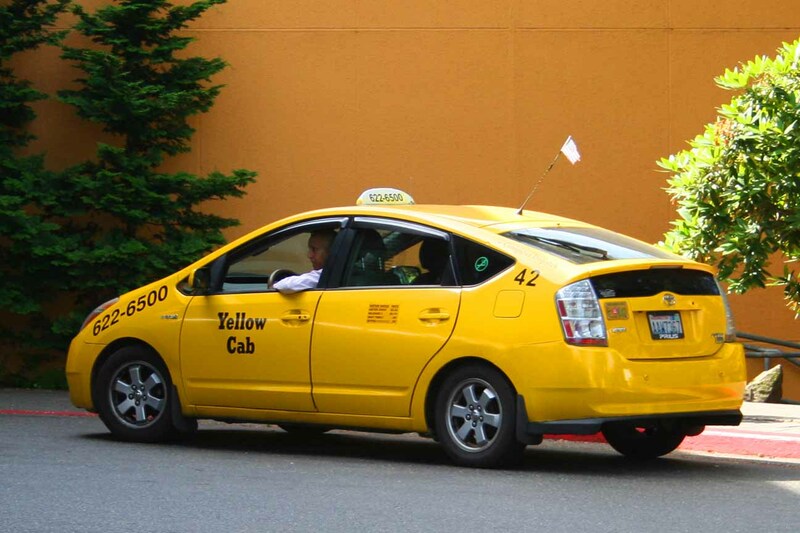 While grabbing a cab back to one’s hotel or Airbnb may be the most convenient way to end a long day of sightseeing, a traveler’s first experience with a cab is likely to be shortly after arrival at their destination’s airport. Because not every airport is close to the city center, the cost of trips varied widely based both on the distance traveled and the prevailing per-kilometer rate. Taking a cab from Tokyo’s Narita International Airport (NRT) to downtown Tokyo was the most expensive and will cost about $189.91, due to both the length of the trip – approximately 70 kilometers – and the per-kilometer rate of $2.92. A trip from Milan’s Malpensa International (MXP) to the city center was second-most expensive and will cost about $101.62 for the 53 kilometer trip. Experiences during my 2015 trip to Warsaw provide some real-world examples. The survey said a trip from Warsaw Fryderyk Chopin Airport (WAW) to the city center would cost about $9.41. Two years ago, I paid 42 Polish złoty, or about $11.43. The survey also said the meter drop for a Warsaw cab ride would be $2.14, which is 7.85 złoty at today's exchange rates. At the time of my trip, the initial cost shown on taxi signs (as at left) was 8 złoty. The small differences are likely due to the difference in the exchange rate from 2015 to today. For those keen to reenact scenes from so many action movies by telling the driver to “Wait here; I’ll be right back,” be prepared to pay. Waiting costs per hour are, unsurprisingly, highest in Zurich at nearly $83 an hour. They are lowest in Bangalore, at less than $1 per hour. Thirty-five of the 80 cities have waiting rates of between $20 and $40 an hour. Four U.S. cities were included in the survey: New York, Chicago, Los Angeles and San Francisco. All were near the middle of the range, with New York City No. 43, the Windy City No. 45, L.A., No. 50 and the City by the Bay No. 56.
in a number of cities to various Mercedes models in seven German cities (of course) as well as 16 other cities across Europe. Finally, the report noted whether ride-hailing service Uber was available in each of the cities surveyed. The service is an alternative to a traditional taxi in 65 of the 80 cities.